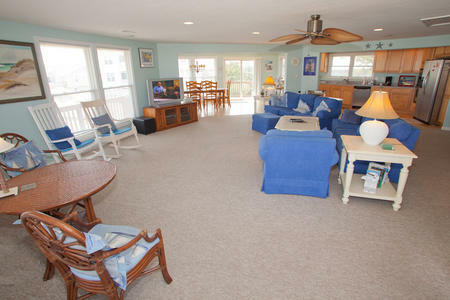 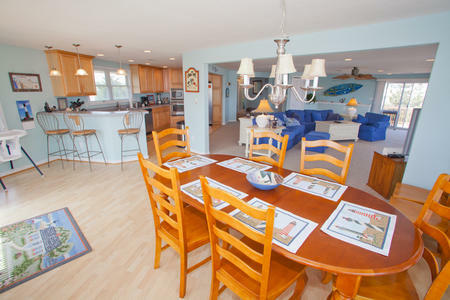 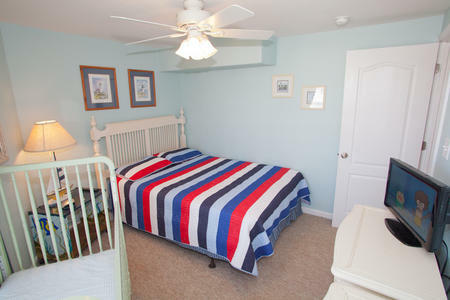 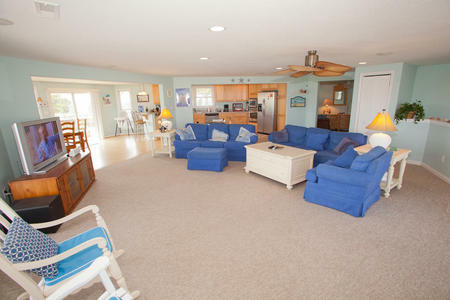 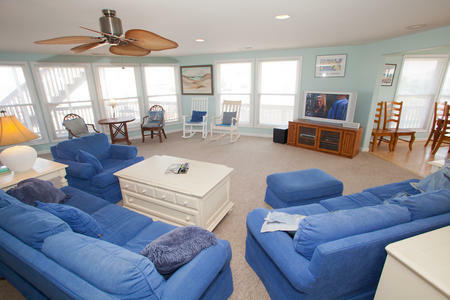 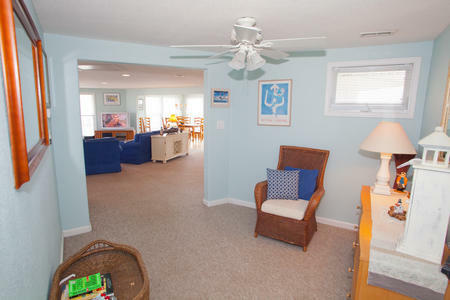 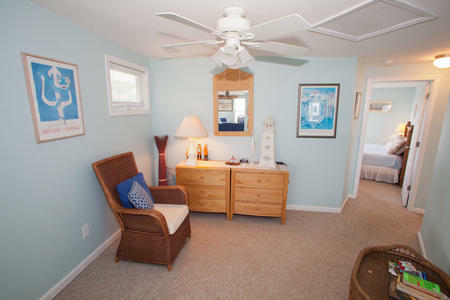 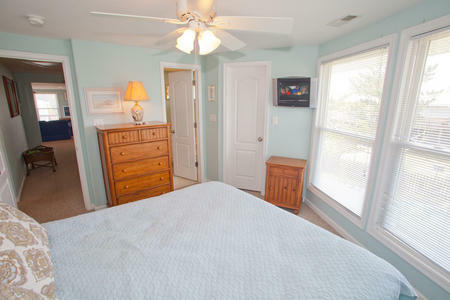 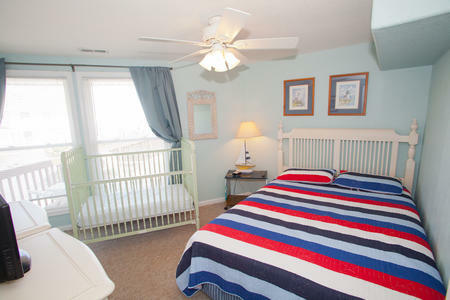 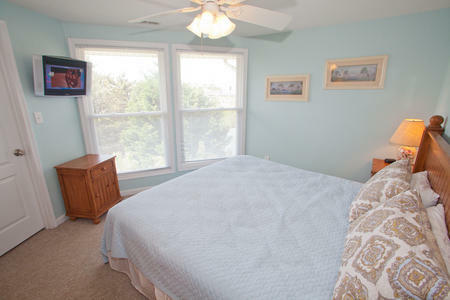 Classic beach home with a nautical flair offers nice interior furnishings and appointments. 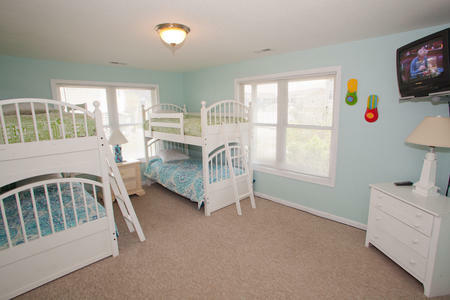 Great floorplan for two families to share or for the larger family to spread out in. 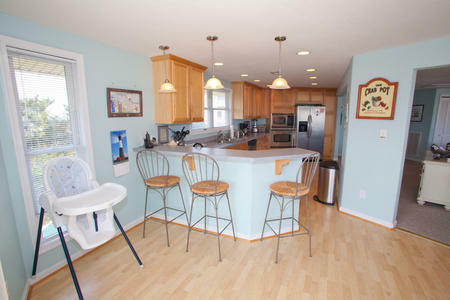 The second level boasts a spacious kitchen, dining and living area, which allows for easy entertaining and preparing meals. 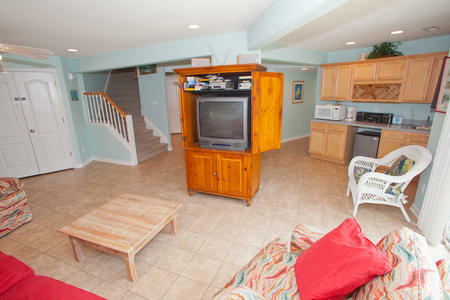 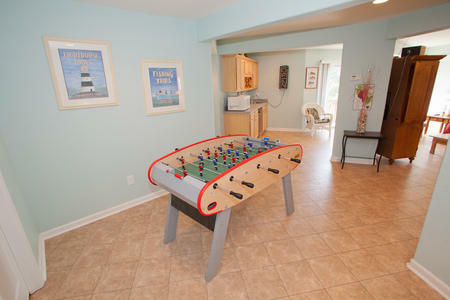 The first floor den is an additional place to relax, with a TV and foosball table for inside fun. 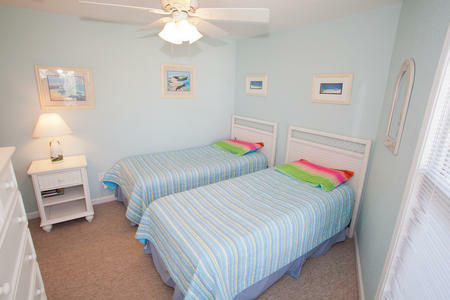 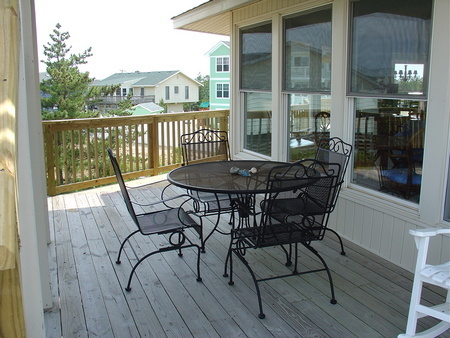 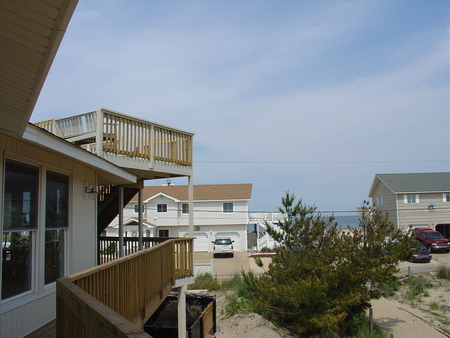 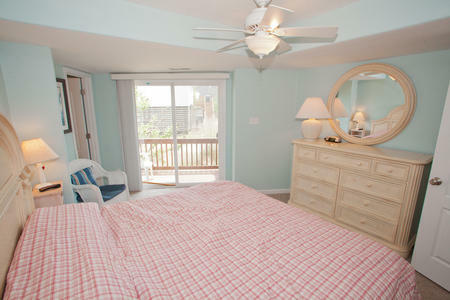 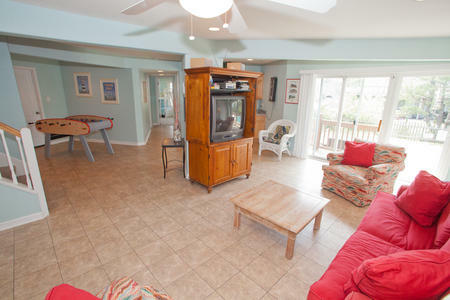 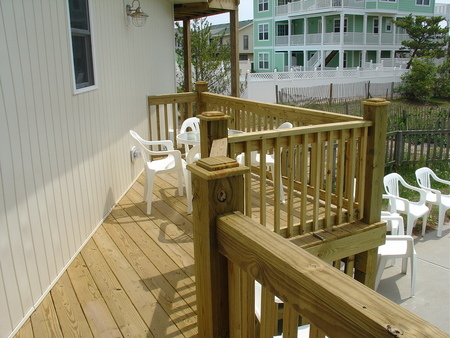 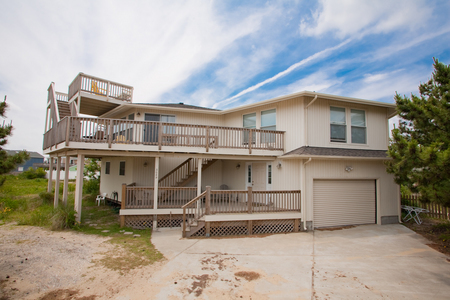 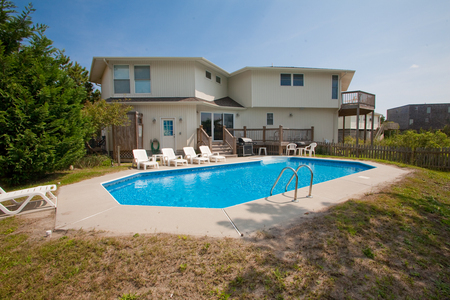 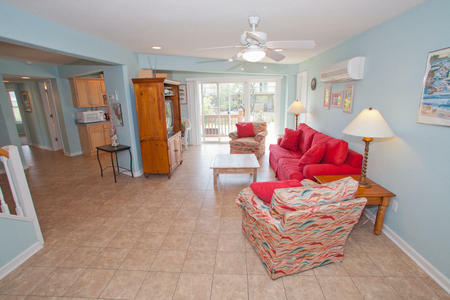 You will enjoy the multiple decks, which includes an eagle's nest deck as well as a sun deck and a lower shady deck. 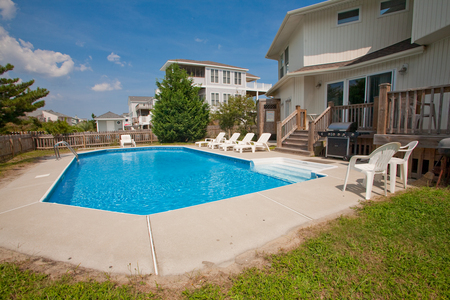 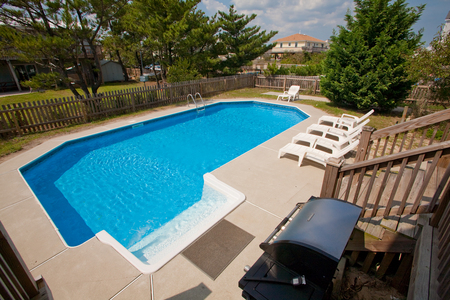 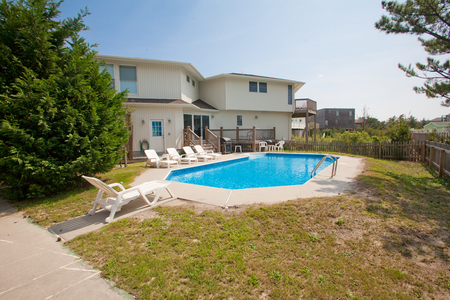 The inground backyard swimming pool is perfect for cooling off after a day at the beach, which is just across the street and near the public beach access path. 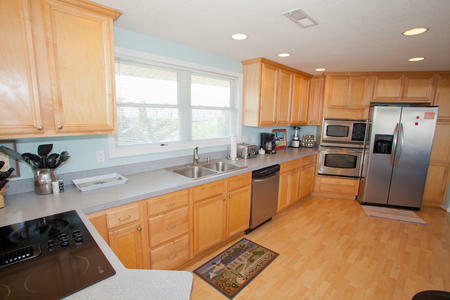 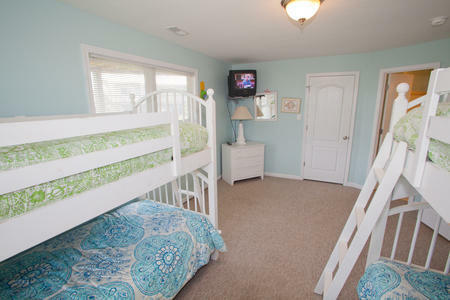 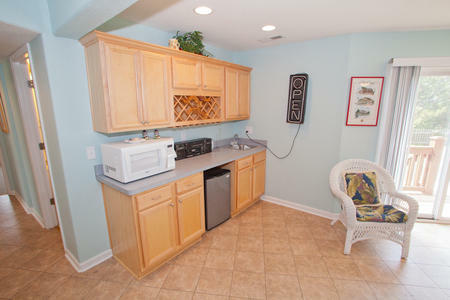 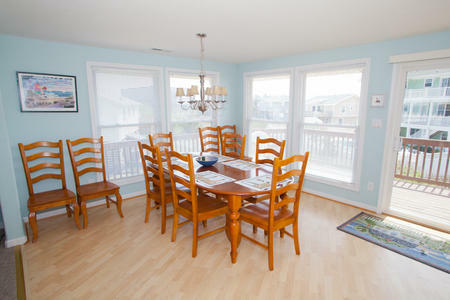 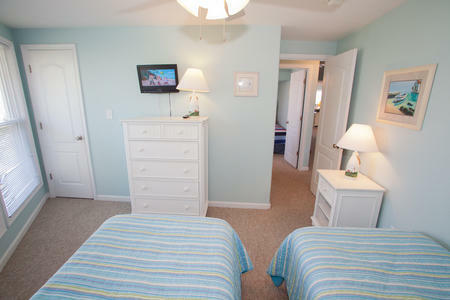 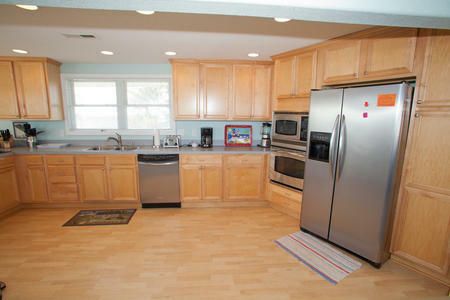 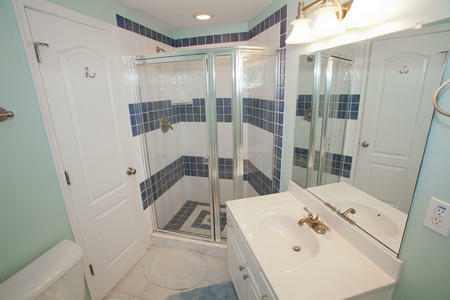 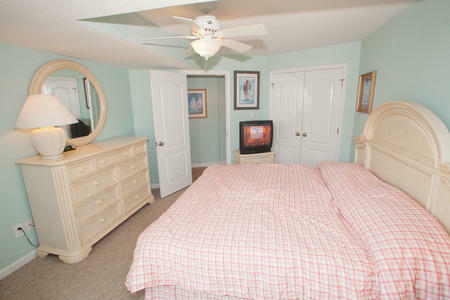 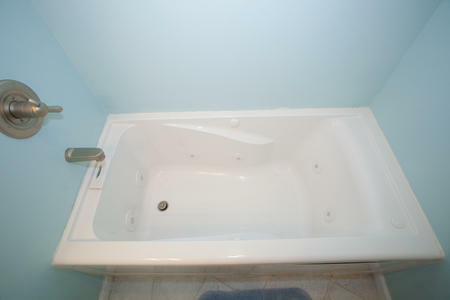 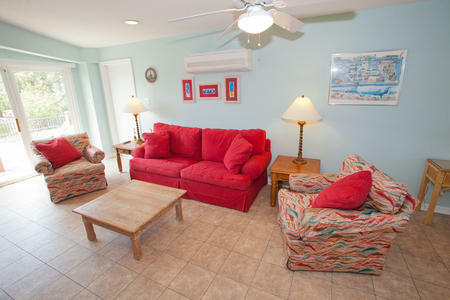 This house offers everything you need for a fabulous family get together! 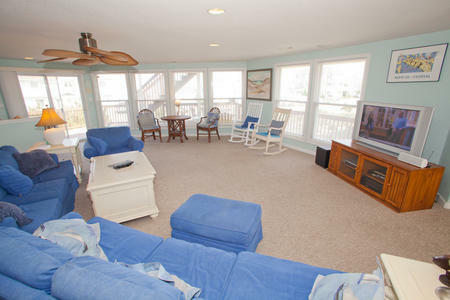 Now that's "Moore Like It!"